Hours after President Trump's chief economic adviser Larry Kudlow told reporters that the 90-day trade war truce between the United States and China — with the Trump administration postponing a planned tariff increase — will begin Jan. 1, the White House issued a correction stating that the truce began December 1. The big picture: Kudlow wasn't able to confirm President Trump's claim Sunday that China will lower tariffs on American cars from 40% to 0%. He added that he expects China to roll back tariffs on U.S. agriculture very soon. However, it's worth noting that U.S. Trade Representative Robert Lighthizer — not Kudlow — will be the lead negotiator as the two countries attempt to resolve more fundamental disagreements on forced technology transfers, intellectual property theft and other issues in the coming months, per the Wall Street Journal. 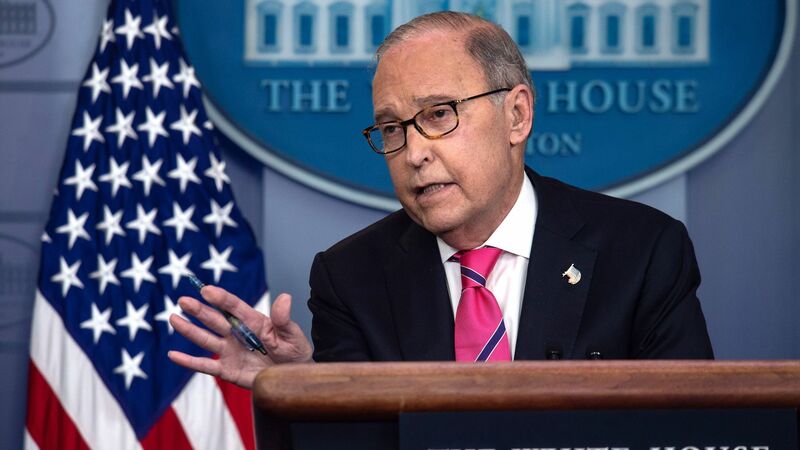 Editor's note: This post has been updated to reflect the White House's correction to Larry Kudlow's comments — that the truce began on Dec. 1, 2018, not Jan. 1, 2019.